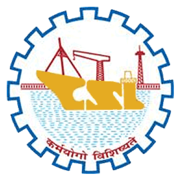 Cochin Shipyard Limited Recruitment 2019 - Apply Online for Deputy General Manager (Finance) Post in Cochin Shipyard Limited, Kochi, Kerala on Contract Basis. 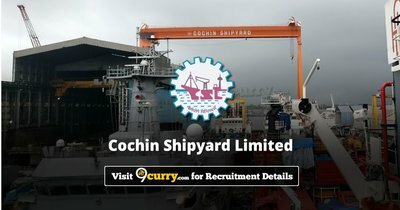 Online Applications are invited by Cochin Shipyard Limited from 13 Mar 2019 to 16 Apr 2019 for 1 vacancy. Degree with a minimum of 60% marks from a recognized University and pass in the final examination of the Institute of Chartered Accountants of India. Minimum of 18 years post qualification managerial experience in the Finance department of large Public Sector Undertakings / Commercial organizations /Engineering Companies primarily in the areas of Financial Planning, Forecasting, Business modelling, Financial restructuring, Business/ Financial analysis with emphasis on Mergers, Acquisitions and Takeovers, Due Diligence, Investment Management, Valuation Analysis etc. Eligible candidates may apply online at Cochin Shipyard Limited's website (direct link is given below) from 13 Mar 2019 to 16 Apr 2019.